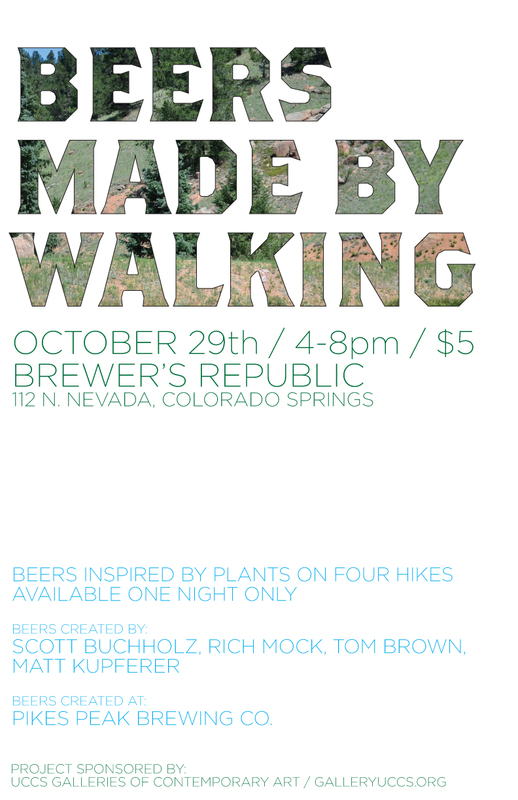 Beers Made By Walking is a summer long program where a public group goes on a series of hikes, identifies edible and medicinal plants along the way and make a beer based off what we see on that particular trail. The project was sponsored by the Galleries of Contemporary Art in Colorado Springs. 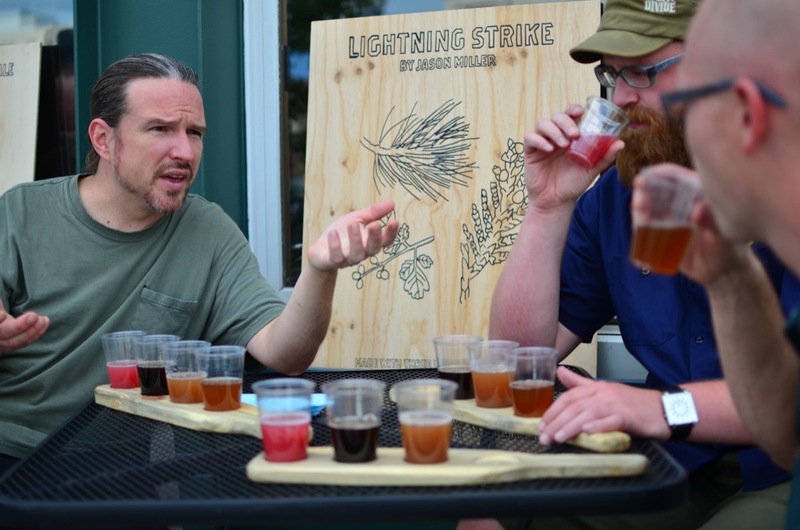 There were a total of seven hikes, open to the public around the Pikes Peak region, eight homebrewers were involved and eight beers were produced. 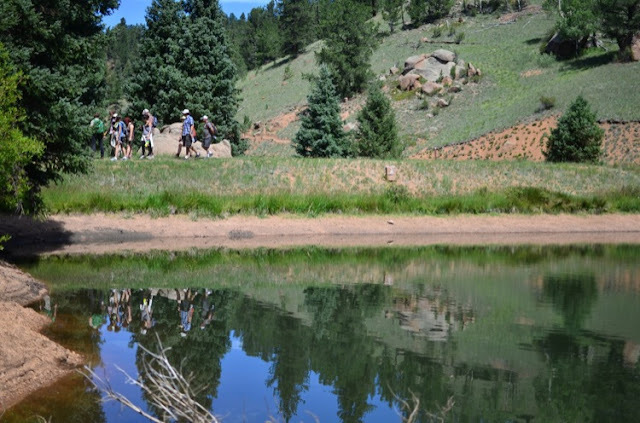 The hikes ranged from easy to strenuous, from two hours to full day hikes, at many different altitudes. 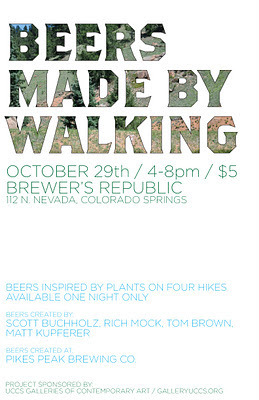 The beers were brewed commercially at a local brewery and then sold during one of two tasting sessions at a local beer pubs in Colorado Springs, Brewer's Republic. 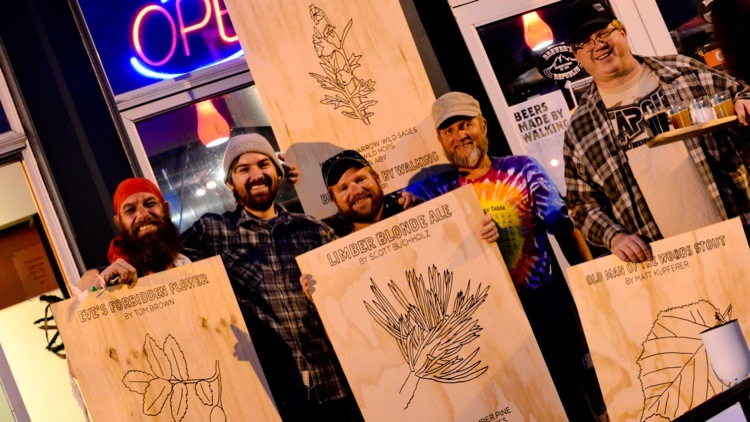 The beers were served in handmade beetle-kill pine sampling trays along with a twelve page menu. Each beer essentially became a portrait of the hike we were on. A complete set of photos and information from all the hikes and the tasting sessions, including information about each beer, can be found here. I've included a few photos and a few details below as well. A few homebrewers drinking together during the first tasting session. The four homebrewers with their beer signs during the second tasting.